I'm absolutely fascinated by Yotam Ottolenghi's recipes - a mixture of the best foods of Jerusalem loved by both Ottolenghi and Tamimi (business partner). As a child, my Parents and I regularly holidayed in Israel, Jerusalem being a regular destination for us. From a young age I've enjoyed the foods and flavours but only with age have I had the desire to read about and cook the beautiful dishes at home. I'm getting all the cooking in I can before I leave as I'm really going to miss my culinary goings onat home. 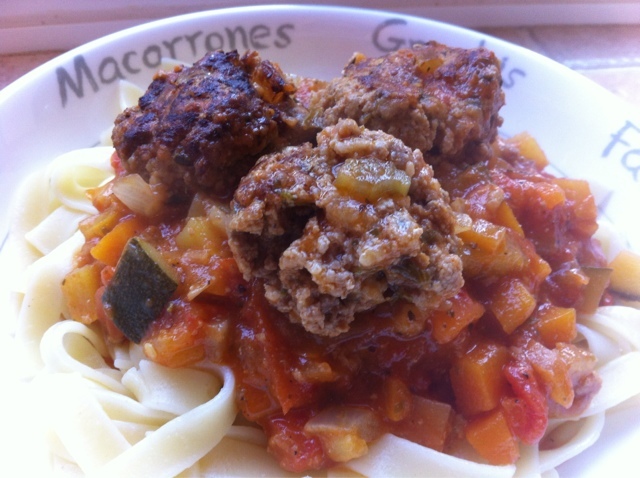 Tonight I made Ottolenghi's ricotta and oregano meatballs, served with tagliatelle. Although I enjoy a big bowl of carb-orific pasta...I can now take it or leave it due to far too many pasta bakes during my time at university! 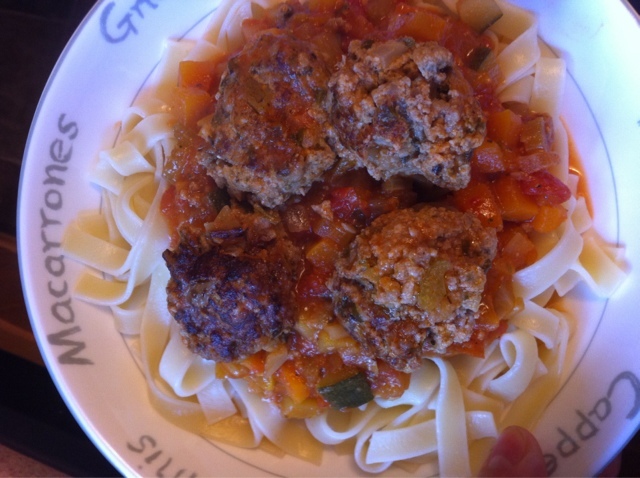 These meatballs were relatively easy and ridiculously tasty - I know how we'll renowned Ottolenghi is for his recipes and culinary knowledge but, I did expect these to taste quite as good as they do. And you know what, there aren't even a substantial amount of ingredients! Win! This recipe serves four so is perfect for a midweek dish for the troops! 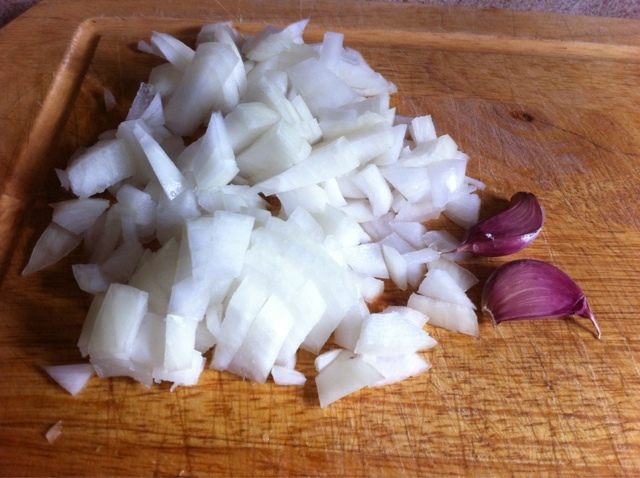 It's best to start with the tomato sauce - dice up your onions, throw them in a frying pan with a little oil on a medium-low heat and allow to soften. Add your crushed garlic, chopped celery, diced carrots and diced courgette (if using). Cook for around 10 minutes until the vegetables have softened but don't allow them to brown. Once everything's softened, add the tomatoes, half the stock and sugar. The other half of the stock isn't used until later! Cook for 15 minutes, stirring every now and then, to allow to thicken. While the sauce is thickening, make your meatballs. Throw the ingredients in a bowl and mix everything together. 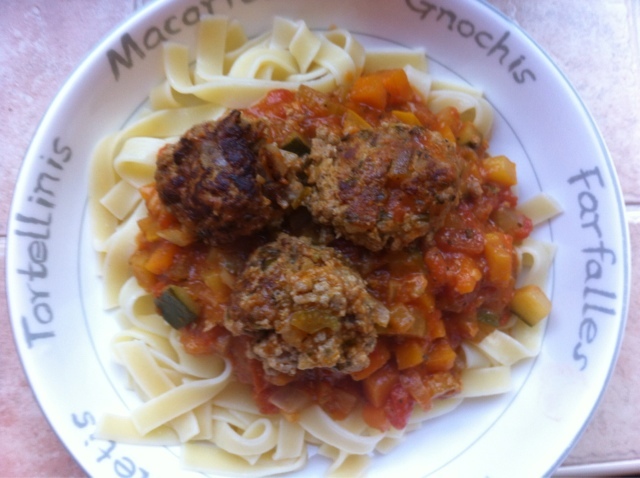 Ottolenghi suggest you make 12-14 meatballs all of around 70g. I made smaller ones and ended up with about 24 - you can make them either way, I just prefer small ones. 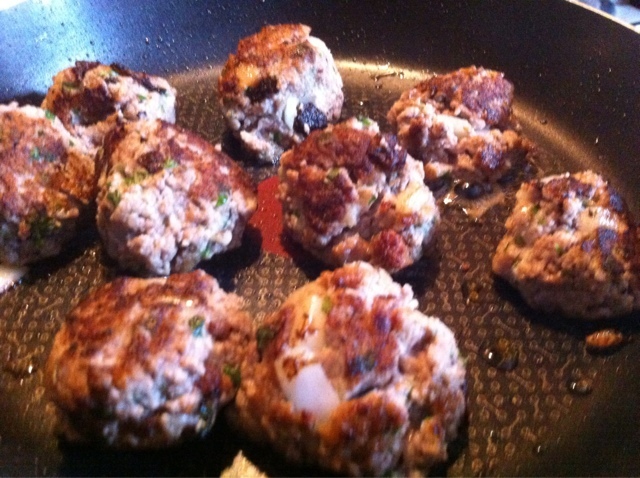 In frying pan, heat a little oil and, when the pan is hot, add your meatballs - you may have to do this in two batches. Sear for a couple of minutes on each side. When you've done them all, pop them in the pan with your tomato sauce and pour the rest of the stock over the top - this should almost cover the meatballs. Add a little water if not. Allow to simmer for around 30 minutes with a lid over your pan. Allow 10 minutes to cook the tagliatelle. If the sauce isn't thick enough, up the heat a little and remove the lid. You'll need to leave the sauce/meatballs around 5-10 minutes to settle before serving. These are truly beautiful and so light I could eat a whole bucket full!